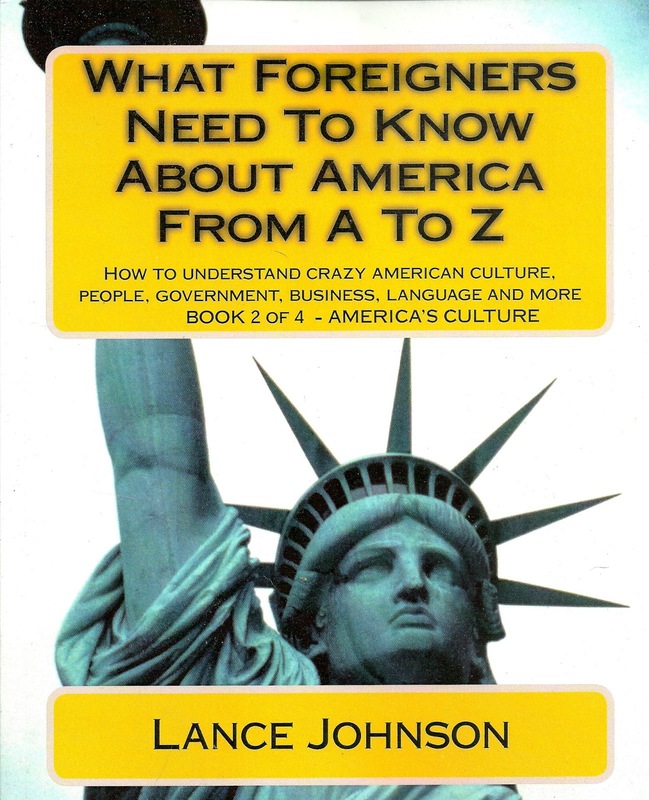 What Foreigners Need to Know About America: From A to Z, Lance Johnson, A to Z Publishing - This enlightening book advises immigrants on what they need to know about getting along in American society. The author addresses misconceptions Americans and immigrants often harbor about one another, then makes the case that differences are often minor and can easily be put aside. The remainder of the book focuses on specific aspects of American society: government, religion, education, the arts, business, and so on. 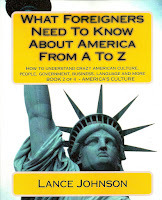 In each case, the author provides an explanation of the American way, then offers tips on how visitors can blend in. Sometimes, the advice is practical; for example, the author provides information on how to apply to American colleges—a key concern for young people from immigrant families. In other cases, the advice is light-hearted—lists of top American movies are provided, evidently for use during those key conversations around the office water cooler after the Academy Award nominations are announced. Lance Johhnson is a playwright and author. His "Communicty Service" has won several awards including one from the Pacific Palisades Playhouse and a national award from the Marine Foundation. He was inspired to write this book to help immigrants, international students, travelers to the US, and even those who must do business or want to open businesses in the US. 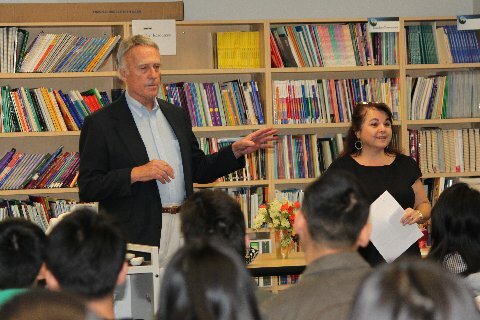 In this photo he was speaking to international students at Mt. Sac College in California. Learn more at his website at http://AmericaAtoZ.com. The Eric Hoffer Awards are recommended on Carolyn Howard-Johnson's website in the Writers' Resource section on the page for contests. She is an advocate for authors. In that role she taught as an instructor for UCLA Extension's world renowned Writers' Program and is the author of the multi award-winning #HowToDoItFrugally Series of books for writers. She rates her recommended contests on the basis of their credibility and value. Eric Hoffer provides support material like award badges and a template for a media release as well as the opportunity to be reviewed in US Review of Books. 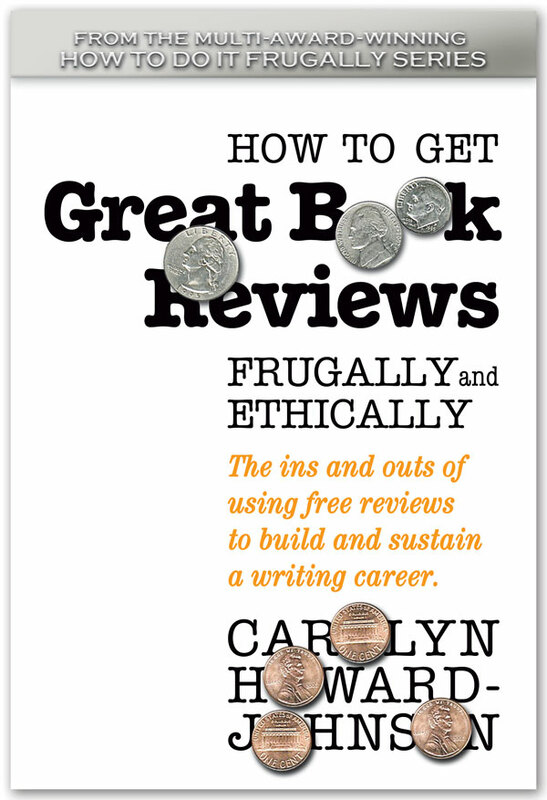 The New Book Review is blogged by Carolyn Howard-Johnson, author of the multi award-winning HowToDoItFrugally series of books for writers. Of particular interest to readers of this blog is her most recent How to Get Great Book Reviews Frugally and Ethically (http://bit.ly/GreatBkReviews ). Emigrants now need this book more than ever. The paths for success require courage now more than ever.